Is an excellent brush by the English company. The hair grade is best badger, which is mid range in the hair grade. Although some prefer it for it is coarser than silvertip. The handle is a high grade acrylic, it will not tarnish. I particularly like the gold branding, it is prestigious yet utilitarian. The brush itself is stocky and compact and packs a punch in regards to lathering. I have sold many Simpsons brushes to many happy customers. There function and image is brilliant. 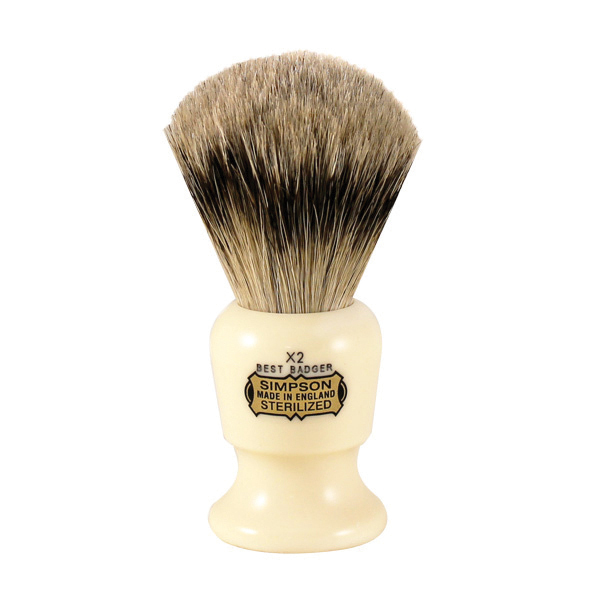 Simpsons Fifty best badger shaving brush. Is an excellent mid range shaving brush. 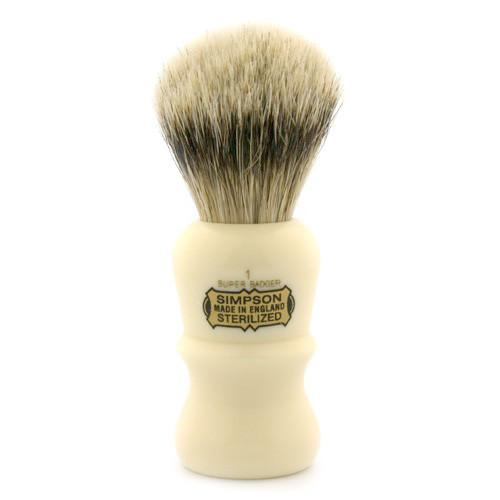 Made by the English artisan shaving brush manufacturer Simpsons. The brush is as important as the razor, the straight razor, or the DE safety razor. The best badger grade is desirable for those who like the roughness of pure badger but still want a softer airy lather. Badger hair has traditionally been the english shaving brush of choice, for its coarse and absorbent hair. The badger brush is still used professionally by barbers nationally. where as its counter part the straight razor has been out of use for sometime due to paranoia around disease. It has been replaced with the shavette taking disposable razor blades. To use the Simpsons Fifty best badger shaving brush. you should submerge the brush in a hot sink along with your face. 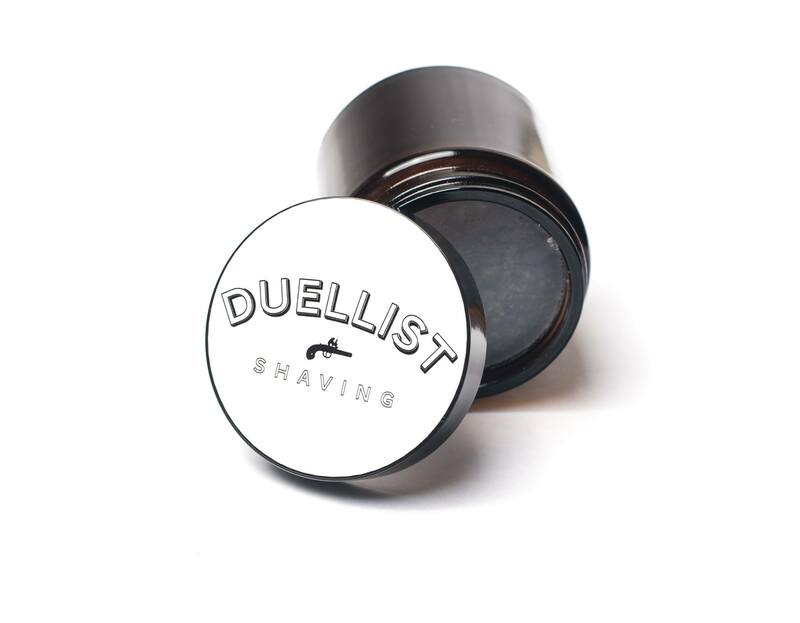 Whilst dripping circulate the brush on your Duelist soap until it is full of lather. Then circulate it in the grain of your beard/stubble. 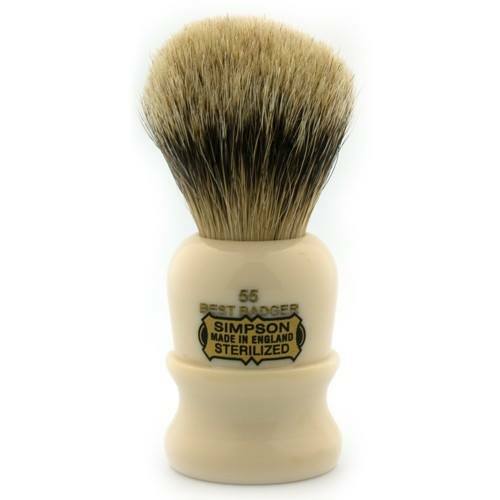 A good shaving brush should last a decade and the Simpson Fifty best badger shaving brush is certainly that. To maintain a brush it should be thoroughly rinsed, shook and left to dry standing vertically. 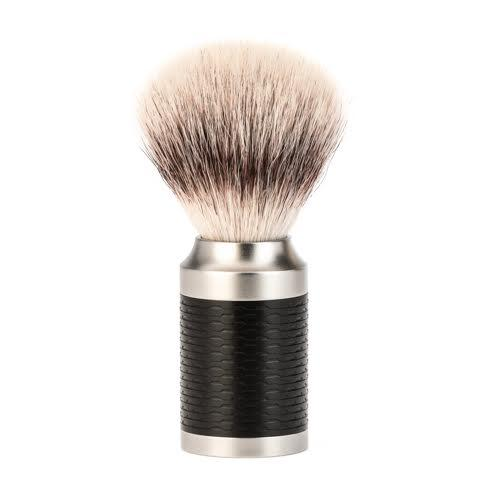 If you are not sure about using an animal hair like with the Simpson Fifty best badger shaving brush. we have a synthetic brush by Duellist. The badger brush was first used in France. The Blaireau or Badger came around in the early 18th century, the french still have a thriving traditional shaving industry alike the Italians. Where Even the supermarket’s chemist Isle is full of traditional shaving creams soaps and razors. My first professional shave was in sardinia the shave was an incredible experience I received a minor cut but was well treated with Alum. Now my Italian is moderately poor, therefore my haircut was also.